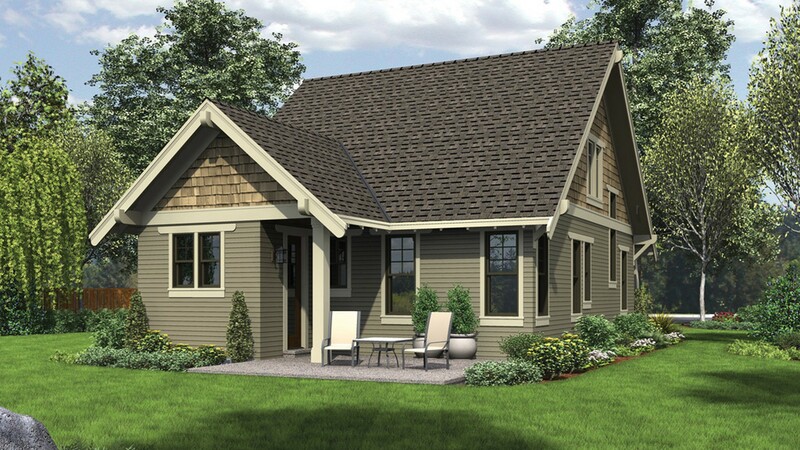 The Morris is a modern take on the classic Craftsman house plan. This home plan keeps everything homeowners love best about the traditional bungalow – tapered front columns; a deep, covered front porch; a windowed roof gable; and extensive use of natural materials – while also updating the bungalow style to better fit a modern family. For instance, the Morris features a much more open home plan than most conventional bungalows. 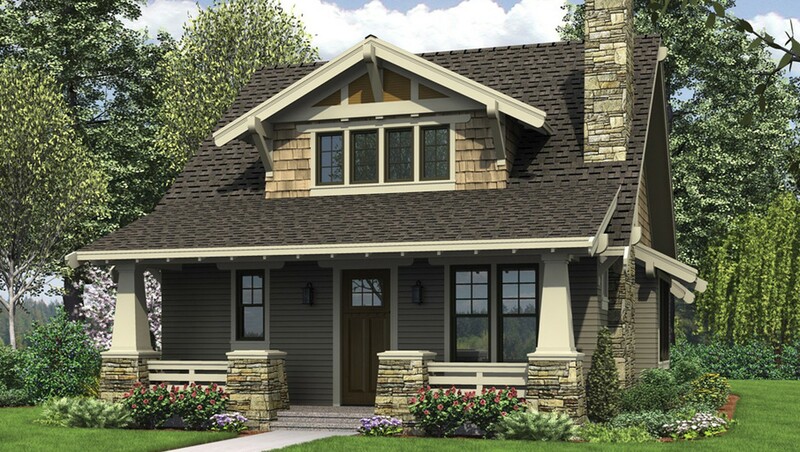 As you enter this Craftsman house plan, you’ll see two half stone columns framing a covered porch. As you walk into the living room, with its fireplace and nine-foot ceilings, to your left is a half-bath, stairs to the second story and an office. Beyond the living room is the dining room – done in the modern style, with no intervening wall between the two rooms. Such an open home plan encourages togetherness and flow. A kitchen island with a sink and plenty of counter space is the only thing separating the kitchen from the dining room. To the left of the dining room is the master bedroom and bath. The master suite features 9-foot ceilings, a large bathroom with a walk-in shower, and a generous closet. Upstairs, you’ll discover a lovely loft that’s full of natural light thanks to a row of windows. This “extra room” in the Morris Craftsman house plan could make a perfect playroom, second office or library. 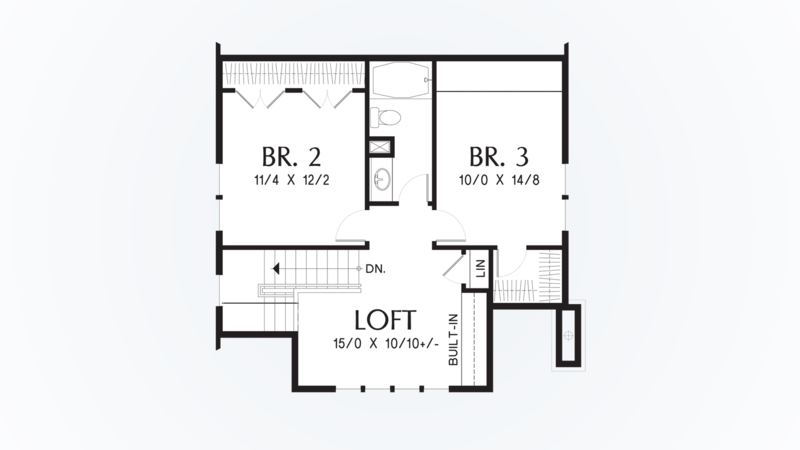 Also on the upper story are two bedrooms with a bath between. At the very back of the house, you’ll find a second outdoor living area to complement the front porch. We put the Morris in our Traditional Neighborhood Design Collection because it encourages neighborly interactions. Just imagine this beautiful Craftsman house plan in a pedestrian-friendly, tree-lined neighborhood! 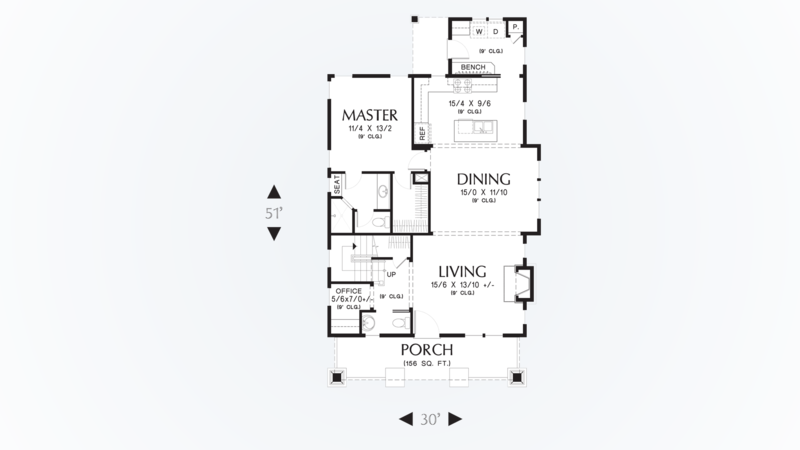 Overall, this home plan is compact yet well-designed, a traditional Craftsman in appearance yet modern in layout – perfect for the active family.